ARRIVING SOON! 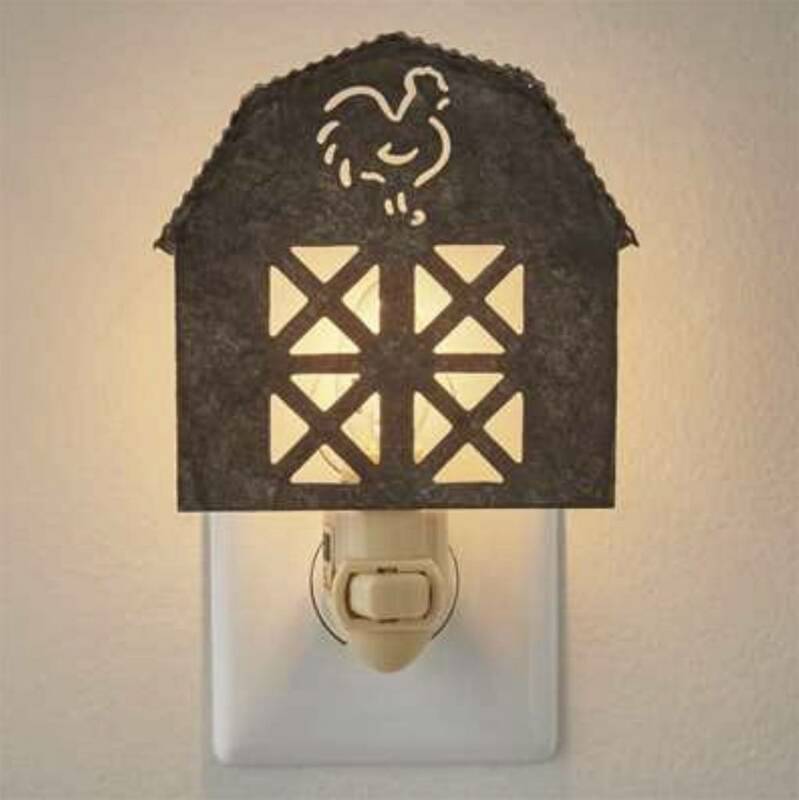 Bring a finishing touch to your farmhouse style with the Barn Night Light! This galvanized night light will be a favorite it spreads a light, warm, glow across the room. A small but perfect finishing touch. Made of metal. See all of our Nightlight Collection! Thank you for choosing to shop with us and considering the Country & Farmhouse Night Light! 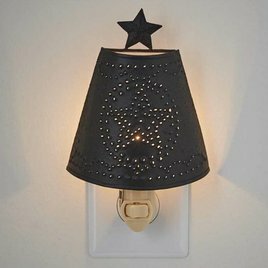 You're sure to love the punched tin Star Shade Night Light! A beautiful primitively-styled night lamp. 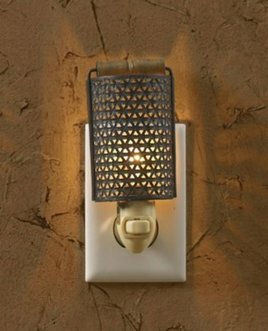 The design of this night light perfectly fits in with most in any country, farmhouse or rustic decor in your bedroom, hallway or kitchen. This Grater Night Light is designed to look like an old-fashioned cheese grater. 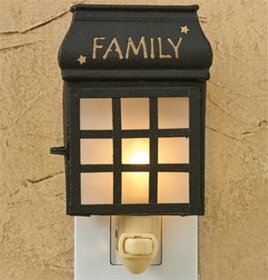 Perfect for those with country or primitive themed home decor, this night light add a unique detail to any room! The traditional Lantern Night Light with glass front. makes a delightful addition to a guest bedroom or bathroom. "Family" is cut into metal light. 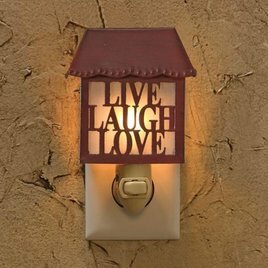 The New Hope Night Light features the words Live, Laugh, Love in a deep country red making it the perfect accessory for your country or primitive home decor. This night light warms up any room with a soft glow to spice up your space! ARRIVING SOON! 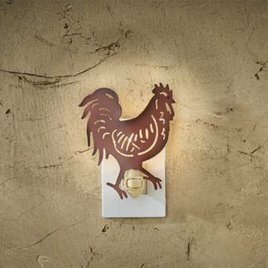 Give any room in your country home a finishing touch with the Rooster Night Light. Everyone will love the glow of this farmhouse detail and the pattern it spreads. Made of metal.